Uncommon Oxford is your escape from average student living. 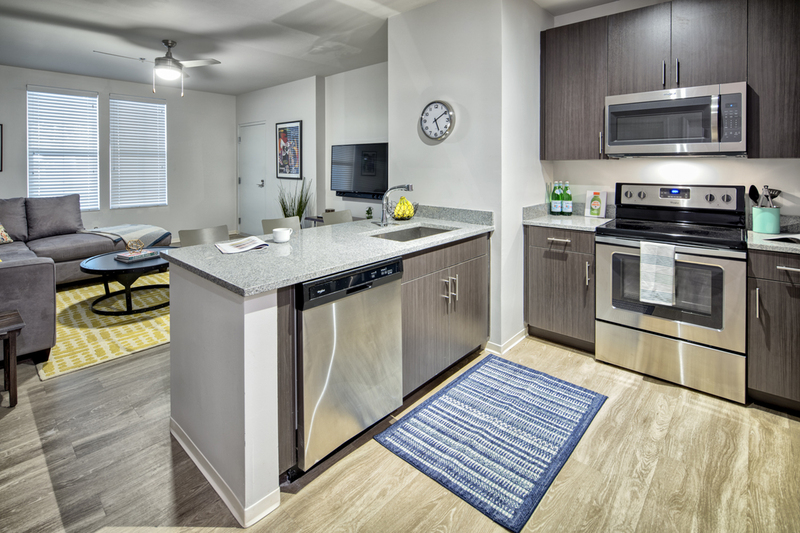 It’s your close-to-campus getaway from typical one size fits all dorms. This is the modern space where the amenities you seek for thrill and convenience meet to make your Uncommon story a reality. 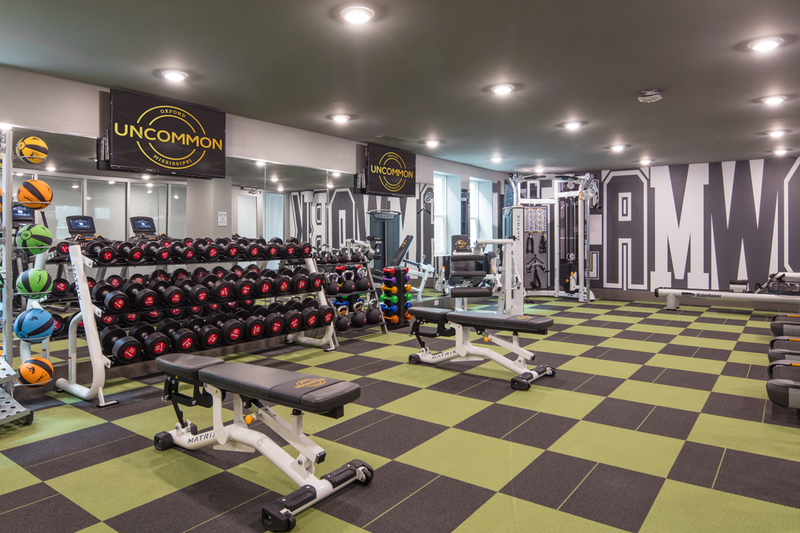 Our brand new state-of-the-art fitness center is open 24/7 so you can stop by whenever is best with you--check out the TRX wall. Be bold or chill and lay back, it’s all Uncommon. Grocery delivery makes your active life harmonious with the necessities. Chill, be social and adventurous. Uncommon offers you a study lounge and tutoring sessions. Live the Uncommon lifestyle today! Imagine the community atmosphere of your favorite social club combined with the world-class service of a boutique hotel. 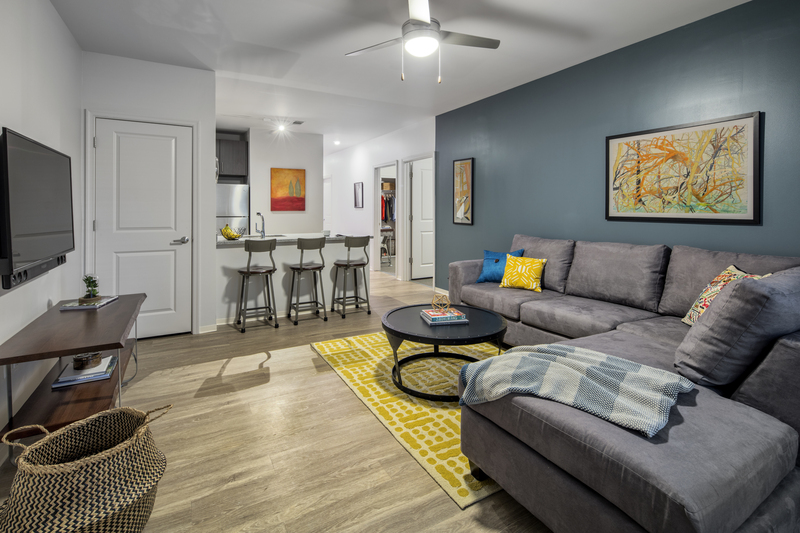 Uncommon Oxford provides stylish surroundings you will love with incredible conveniences your friends will envy. Uncommon Oxford apartments are steeped in tradition with a modern twist. 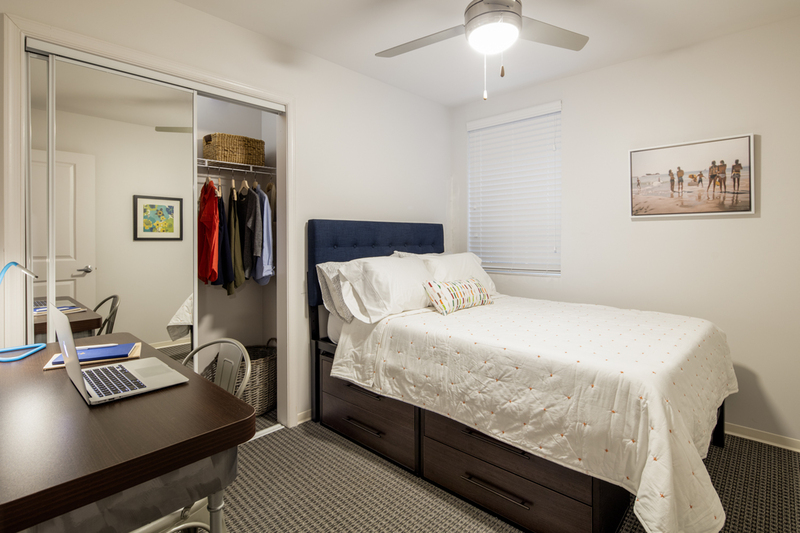 With exclusive amenities you won’t find anywhere else in Oxford, our units are designed to give you the elegance of yesterday’s legacy combined with the energy to keep up with today’s busy college life. 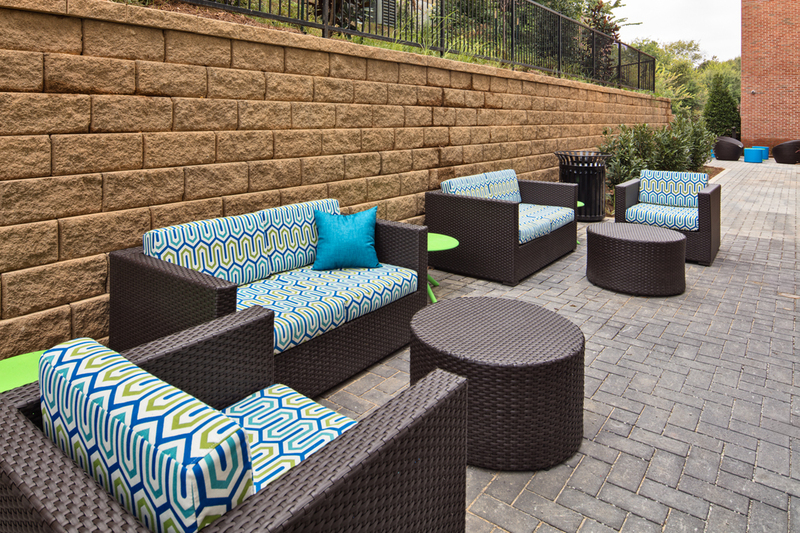 These amenities come together to create an exceptional student living experience. 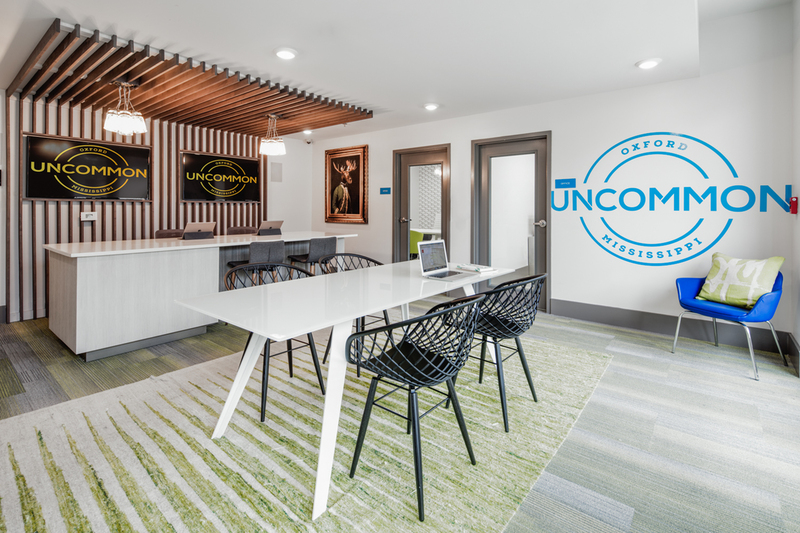 Go beyond the ordinary and contact our leasing office to reserve your space at Uncommon Oxford.